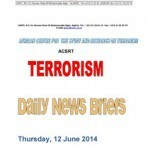 Pursuant to counterterrorism continental and universal instruments, and in accordance with the ACSRT strategic programmme of action for 2010-2013, adopted by the African National Focal Points (FP) during their fourth meeting held at the ACSRT’s headquarters from 17-19 June 2010, a delegation of the African Centre for the Study and Research on Terrorism (ACSRT), led by H.E Ambassador Francisco Caetano José Madeira, Special Representative of the Chairperson of the African Union Commission for Counter‐Terrorism Cooperation, Director of the ACSRT, including 5 experts in different areas of counterterrorism, undertook three (3) evaluation missions to Burkina Faso, 5 to 9 November 2012, Gambia, 26 to 30 November 2012 and Senegal, 3 to 7 December 2012 respectively. These evaluation missions were undertaken by the African Union as part of an assessment programme financed by the European Union Commission (EUC). They were also conducted as a follow up to the decision on the prevention and combating of terrorism adopted by the 15th Ordinary Session of the AU Assembly held in Kampala, Uganda, from 25 to 27 July 2010. The primary purpose of these missions is to analyze the capacity of the abovementioned Member States to fulfill their commitments under the terms of the AU Plan of Action (2002)and to evaluate the capacity of the National Focal Points to effectively prevent and combat terrorism. 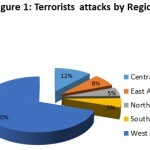 Wherever appropriate, these missions made recommendations on measures that Member States should take to comply with the provision of the four pillars of the UN global counter terrorism strategy, the AU Plan of Action (2002) and other relevant AU decisions on the prevention and combating of terrorism. The missions also sought to identify areas in which the evaluated countries could require technical assistance. During these missions, the ACSRT delegation undertook on‐site visits to border posts, airports, customs, immigrations and other relevant facilities to assess the reality on the ground. 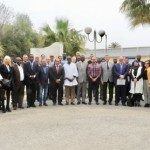 The ACSRT team also held a series of discussions with the authorities of the three countries on counter‐terrorism related matters, including the rule of law and respect of human rights, radicalization and de-radicalization, judicial cooperation in criminal matters, terrorism financing, law enforcement and border control. 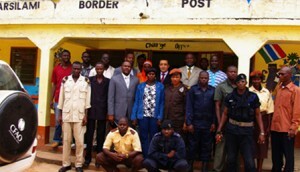 These discussions helped the team to have an idea of the threats arising as a result of these countries’ geographical position, the rapid development of extremist religious tendencies, the existence of networks involved in the making of true/false identification and travel documents, returnee jihadists, radicalization and indoctrination of minors, illegal cross border movement and the financing of terrorism. The discussions also tackled the challenges faced by the west African region in effectively preventing and combating terrorism. The ACSRT delegation has also handed over copies of the African Anti-terrorism Model Law to the government authorities of the three countries. 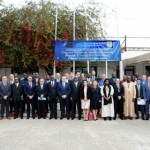 This Law seeks to promote the implementation of the continental and international counter terrorism instruments on the prevention and combating of terrorism and ensure that Member States’ criminal legislation incorporates the legal provisions required to effectively prevent and combat terrorism in all its aspects and manifestations. During its evaluation missions, the ACSRT noted that all the institutions visited were very aware of the terrorist threats facing their region and have taken steps to adjust to this reality and successfully confront the scourge of terrorism. To this effect, progress is being made in order to harmonize national legislation and bring it in line with international counterterrorism regime. Similar efforts are also being made to strengthen bilateral, regional and international cooperation in the prevention and combating of terrorism.